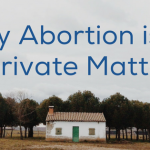 Home | Abortion | Is My Abortion to Remain a Secret? 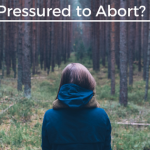 “Why aren’t more women talking about the negative effects of their abortions?” “If the numbers are so high, why do I feel so alone?” These are the questions a recent Hearts Restored participant cried out during a healing support session. About 1 out of every 3 women has had an abortion by the age of 45, yet by their silence we would never know this staggering statistic. The fear of rejection and public shame prevents many from being open, vulnerable, and honest about their past. Secrecy is the coping choice. Society is silent about the subject of post-traumatic abortion stress. In fact, many women think they are the only one suffering the consequences. Regret and despair from the trauma can lead to addictions, numbing emotions, isolation, anger issues, strained relationships, difficulty parenting, anxiety, and more. Many confess they truly believed that abortion was their only option at the time – parents would kick them out with no financial support, a boyfriend would leave them, or they could not afford to raise a child on their own. Spoken or unspoken pressure to choose abortion doesn’t lessen the weight of a hidden secret. Where can a post-abortive woman turn to find safe and understanding support, or someone who cares? Is grieving allowed? Are healing and peace even possible after choosing abortion? If you are the 1 out of 3 women hiding this secret, please know that your trauma and its effects are real. 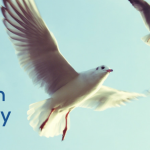 You can now choose to heal – with the hope of some freedom and peace. Hearts Restored: Healing After Abortion is a free program offered by Clarity, and available to anyone at any age. Completely Confidential – we value your privacy! We know men suffer too, as a result of pressuring their girlfriend to abortion or driving her to the clinic. We’re here for you.